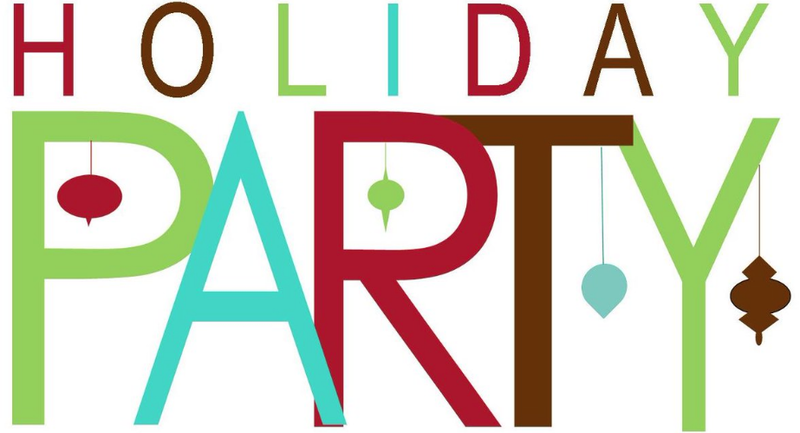 Thanks to the Room Parents for planning for the upcoming Winter Parties! Here’s a website with some tips and advice, and don’t forget the Resources document above! A HUGE thank you to all our fabulous Room Parents who planned and coordinated super fun classroom Halloween parties across MLS! Also a big thanks to all the parents who sent in contributions and popped in to help the celebrations run smoothly. Fall Fun Fair Volunteers Needed!!! The Fun Fair is coming to MLS Friday October 12th and the PTO needs lots of volunteers to make this a fun and safe event for all Meriwether Families. There is a wide variety of opportunities with variable time commitments. If you are a parent of a 1st through 5th grader at MLS, please consider donating baked good for the always popular sweet shop. In addition to keeping those sweet teeth satisfied, the sweet shop is an important part of the PTO’s fund raising efforts. Click here to sign up to donate sweet treats for this year’s fun fair. 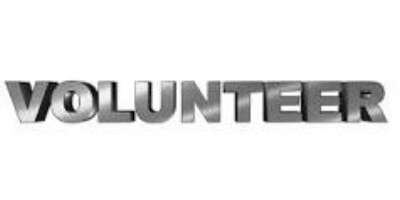 If you would like to help with (1) the games, (2) food service, (3) ticket sales, or (4) set up/clean up, click here to view the volunteer opportunities. If you are a parent of a Kindergartner, please consider donating cupcakes for the popular cupcake walk. Sign up here if you are able to contribute cupcakes. Interested in Art? Click here for more information on how to volunteer once-a-month (at most) in your child’s class (approx. 45mins)? No pressure, pre-set curriculum (but deviating is always allowed)…team up with another parent if you want! Mrs. Kuhn and Ms. Tichner are excited to bring our 3rd Annual MLS Farm and Harvest Celebration Day to MLS! We aim to bring you a variety of folks who will help students engage in a fun celebration of growing, sustainability, nutrition, learning about the importance of local farms, and being stewards of nature! Some of our goals include each child planting a seed in our school garden, learning about local farming, exploring ways to balance nutrition with seasonal harvests, learning about compost, how seeds germinate, the importance of pollinators with foods, and kicking off our school year by getting excited about learning outdoors! We are also looking for connecting with additional folks in our MLS Community who might be interested in joining us to contribute to the learning of our students during this wonderful event. Please reach out to lakuhn@k12albemarle.org if you are a local farm, farmer, or if your practice is connected to our goals. We would LOVE to have you join us! Lastly, we are still in need of a few volunteers. Please reach out to volunteer@mlspto.org if you can help as a Parent Volunteer! Most needs will be to help with the planting station, balance student numbers at activity areas, and to help quickly break down tables in the area upon completion of our event. There is a role for everyone, any amount of time is much appreciated! Click here for the on-line Volunteer Sign Up Form and here for the paper version. Thank you! UPDATE: The Hospitality Committee would like to thank everyone who has generously signed up to contribute items for staff appreciation week. We still need a few more sign ups - especially for Sweet Treats Day. If you can bring in one dozen individually wrapped sweet treats, please us the sign up. Also, don't forget to send in those gift cards. They can go through back pack mail to Carter Kelsey's attention in Mrs. Robinson's class or you can label an envelope with my name (Sarah Kelsey) and put it in the PTO Treasurer's mailbox in the front office. Thank you. Staff Appreciation Week is May 7th through May 11th and the PTO needs lots of help to make it a great one. The Hospitality Committee has planned something special for every day of the week and could use your help. Please review the accompanying sign up for opportunities to contribute baked goods, snacks, water, etc. The sign up covers four different days during the week so please make of note of which day/event you sign up for. We also still need about 15 gift cards to ensure that there are enough to go around. THANK YOU! The PTO's Hospitality Committee needs a few more volunteers to contribute items to the staff luncheon on the January 22nd teacher workday. Items need to be delivered to school by 11:00 on that day. Please sign up using the link provided if you can contribute some cheese, a salad, some brownies, etc. Thanks! Attention all cookie bakers. Planning on baking holiday cookies? Can you add 2 dozen cookies to your list? If so, please consider signing up to contribute cookies to the PTO Hospitality Committee. We are hoping to send each MLS staff person home with some cookies for the holidays. Any type of small, individual treat works - cookies, brownies, bars, fudge, etc. Thanks! Attention all bakers! We still need 50 pies in order to be able to provide one pie for each member of the school's staff. Please help the PTO continue this Thanksgiving tradition by signing up to provide a pie or two. Thank you! If you have thought about offering support for the 2017-2018 yearbook, this is the final opportunity. PTO will be voting at the next meeting whether to offer a yearbook for this school year. If there are not volunteers to manage, the project will be omitted from this year’s activities. Please let us know immediately if you have an interest in co-chairing the 2017-2018 yearbook. There are folks available to support, but we need a leader or two to manage the project. The hospitality committee is looking for a few more volunteers to provide items that will complete a soup and taco salad buffet for teachers and staff during the teacher workday at the end of the month. Please sign up through the link provided if you can contribute. Thank you! Calling all photographers.....planning is underway for the 2017-2018 MLS yearbook. Please save your best photos of MLS events, classroom activities, students and staff to contribute to the effort. The MLS PTO is working to assemble the leadership team for the MLS Spring Fundraiser. This is always an exciting event for the school and contributes to the mission of the PTO in a significant way by raising funds for the Professional Development of our teachers and staff at MLS. If you have great ideas, energy and some time to contribute to this important event, please contact the PTO Presidents at presidents@mlspto.org"
We are looking for 7 volunteers to help with the 2017 MLS Harvest Market! The Market will take place at MLS on Tuesday, September 26 from 8:15-10:45. This is a wonderful way to support expanded learning opportunities for the kids while learning more about our local food systems! Calling all volunteers! Our Movie Night is this Friday and we need volunteers to help with set up, selling concessions, and break down and clean up. Thank you in advance for helping our MLS kids and families have a fun and memorable night! 1) The MLS PTO hosts community and fundraising events like Movie Night, Bingo Night, Book Fair and more! Check them all out! http://mlspto.org/events. Volunteers help the chair-people prep for and/or run the event. You can sign up to help at an event on the Volunteer PTO Form that you will receive at the beginning of the school year, or click here to download and send it in! 2) Ongoing PTO SCHOOL support includes lending a hand to the Hospitality Committee, the Garden Committee and more! You can sign up to help at an event on the Volunteer PTO Form that you will receive at the beginning of the school year, or click here to download and send it in! 3) Classroom Volunteers! You can sign up in your child’s classroom to be a Room Parent who provides communication to the classroom parents from the PTO and teacher and arranges special events for class. Or, you can be a classroom volunteer to lend support to your child’s teacher! Talk with your child’s teacher to sign up! We love volunteers of all kinds at Meriwether. Whatever you can give is deeply appreciated!